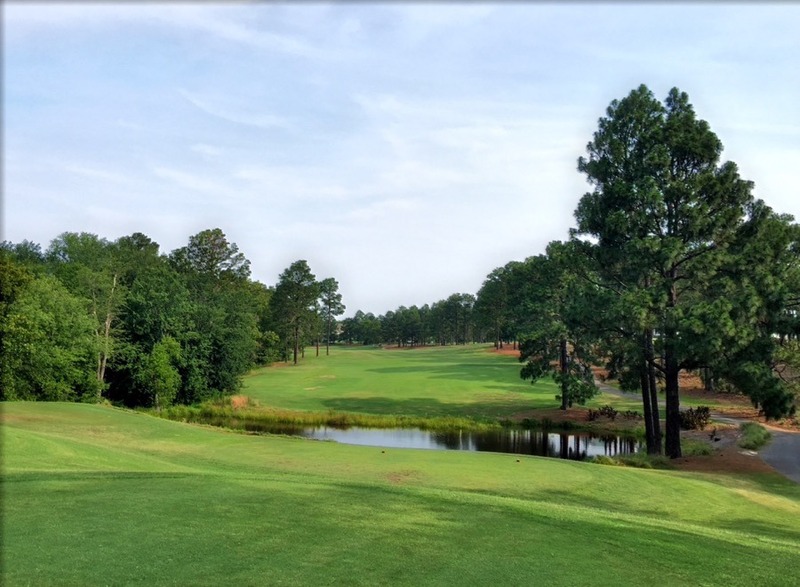 Legacy Golf Links is a Nicklaus Designed golf course and is proud to be one of only three courses in the Pinehurst, Southern Pines, and Aberdeen Area who has played host to a USGA National Championship. Legacy has been awarded 4 ½ stars by Golf Digest and was selected as one of the Top 50 golf courses in the country for customer service. In 2009 Legacy was voted in the Top 25 Public Courses by Golf Worlds Readers' Choice Awards. This award winning layout represents classic Sandhills golf with rolling hills and tall Longleaf Pines. Legacy features four of the best par threes in the Sandhills area and you won't soon forget Legacy's 18th hole; properly nicknamed "The Bear".